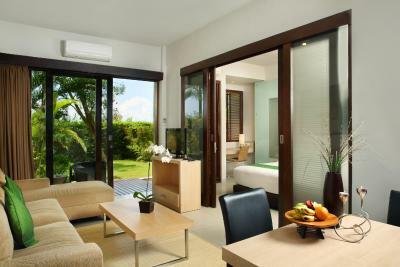 Lock in a great price for Kokonut Suites - rated 8.7 by recent guests. Traveled with 4 adults, took a 2 bedroom apartment. Apartment had all the amenities that one looks for, very clean, very nice comfortable beds, good living area, with ample space to dine in. Great staff. 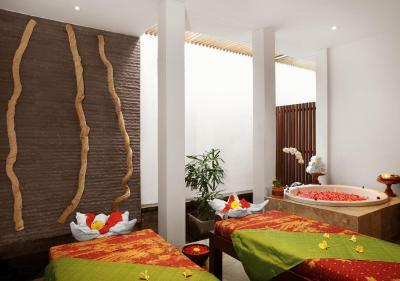 Step out of the resort and you have tons of shops, Kuta is just 10 mins drive from the resort. Have good parking space. Batu Belig beach is 5 mins drive / 15 mins walk from the resort, being slightly far, thought that the resort would have a pick and drop service to /from the beach. Our stay at Kokonut Suites was perfect! We had our two young children and could not fault it at all. We stayed in a two bedroom suite, the room was cleaned daily, beds were comfortable and staff were amazing with all our requests. We used the pool daily which was kept clean and we loved that there was a kids section which for our three year old have him a bit more freedom. Kokonut Suites is located in a quiet area which is what we were hoping for. Thank you so much to all the lovely staff! The bed was very comfortable and the room well equipped and nicely decorated. 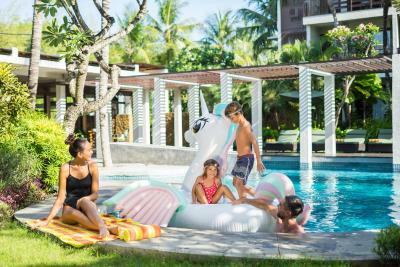 The pool area is attractive and good for kids and adults alike. All the staff were friendly and helpful. This was our third stay at Kokonut and we’d definiyely stay again. huge spacious family appartments, very comfy massive king bed in master. we will definately stay again, the only let down was that there was no restaurant/snacks in the resort. they did have a beautiful bakery out the front that breakfast was available from. We never went to the beach as the resort had a beautiful big pool. Would highly recommend this place. The 2 bedroom apartment was perfect for a couple with children and the swimming pool had a section divided off for little ones which gave us peace of mind with a 4 year old non swimmer. Kokonut suites exceeded my expectations, our stay was very comfortable, all the staff were amazing, food was amazing, environment was amazing. Rooms were pretty spacious and nice. Staff was extremely kind (smiling) and available. We also appreciated the Spa. 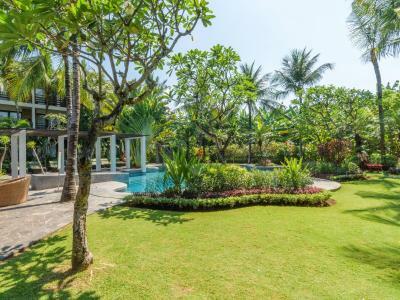 Located in Seminyak, Kokonut Suites offers spacious accommodation surrounded by rice fields and palm trees. 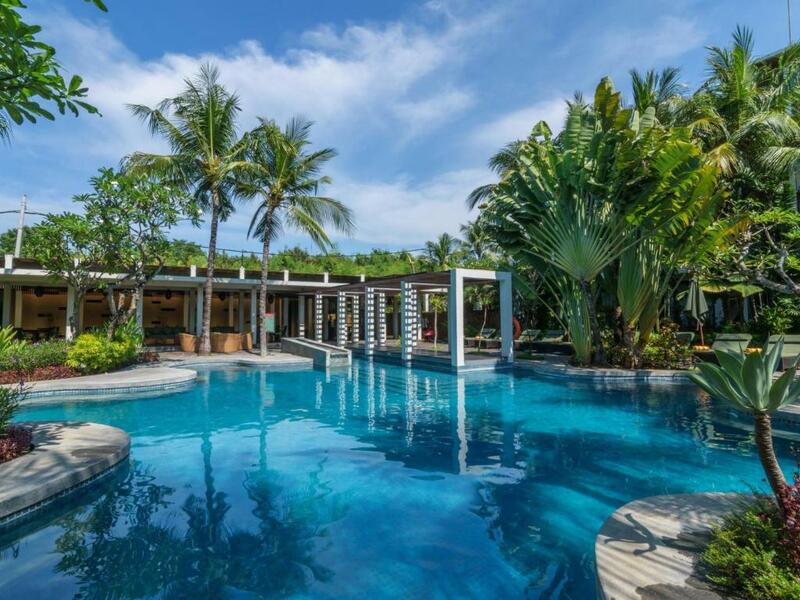 This peaceful tropical retreat features a free form outdoor pool, a spa, and an open-air restaurant. 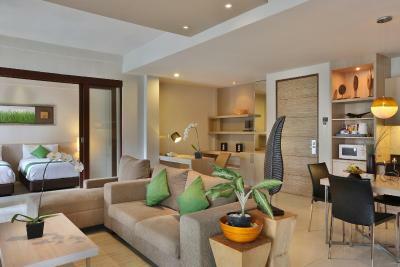 Kokonut Suites is within walking distance to Bali's Best restaurant of Metis and central Seminyak. 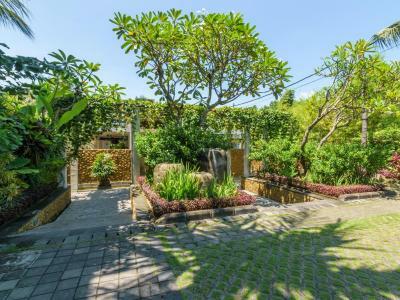 It is a 7.5 miles drive from Ngurah Rai International Airport. Each suite comes with a living and dining area, a kitchenette, and a study area. Amenities include a flat-screen TV and a microwave. The bathroom provides a combined bathtub and shower. A small fitness room is available, while a Guest Service Centre provides 24-hour business services. Kokonut’s Personalised Planners can assist with travel arrangements. LivingStone Cafe and Bakery serves fresh baked goods, as well as Asian and Western dishes. 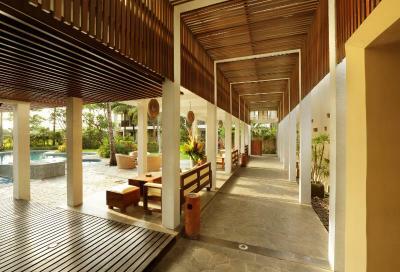 It features a dining area, a terrace, and a lounge area with day beds. Drinks and light snacks are available at the Pool Lounge. 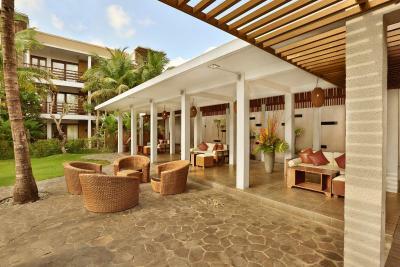 Kokonut Suites has been welcoming Booking.com guests since 27 Jan 2010. When would you like to stay at Kokonut Suites? Features a separate living room with kitchenette. Spacious suite features 2 bedrooms and a separate living room with kitchenette. This suite has a kitchenware, bathrobe and soundproofing. House rules Kokonut Suites takes special requests - add in the next step! Kokonut Suites accepts these cards and reserves the right to temporarily hold an amount prior to arrival. Please inform Kokonut Suites in advance of your expected arrival time. You can use the Special Requests box when booking, or contact the property directly with the contact details provided in your confirmation. Run down place. Even the hand rail outside of rooms were not secured to wall and it fell my daughter’s leg. Very unsafe. The blinds in rooms don’t work properly, the stick fell off from turning the blinds to block light out in bedroom. We arrived at 5pm, check-in was at 2pm. But our room wasn’t ready. They had only just started to clean it. And they didn’t rush to sort it out. Very disappointing. We had arrived direct from airport with a baby and toddler, all exhausted and needed to sort out kids and put baby down for sleep. But there was nowhere to do so. This made for a very disappointing experience! No pool bar, no music around the pool, and pool was very very small as compared to the pictures shown. 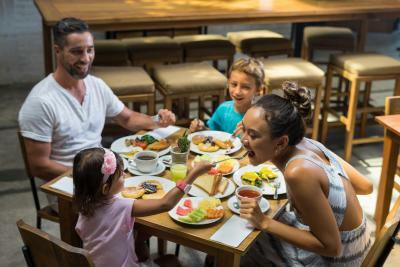 Breakfast is at one restaurant that is at the entrance of the resort, which has a fixed Bfast meal everyday, not like other resorts where they give you a buffet option. Very minimal choice for Pure Vegetarians, my adult family member had lot of issues ordering from the fixed menu provided. Some smaller pillows in the cupboard would be good. Paths are slippery and dangerous when wet. Up lighting in pathways makes visibility poor - this needs attention. Breakfast included in the package isnt good, i would advice others to quit the complemenatary breakfast at kokonut and eat outside. It was a bit far out to do shopping. You had to take a taxi everywhere.. The friendly helpful staff-from front desk to cleaners. I had some issues at checkin as I had amended my original booking but the reception staff worked with me to resolve it. When they make up your room each day they really clean it! Every evening,staff spray your room for mosquitoes and leave a bucket of ice. Had a garden one bedroom - the garden was a lovely private place to sit outside with a cup of tea and a book in the morning. The pool not too big and not too small and always the perfect temperature. 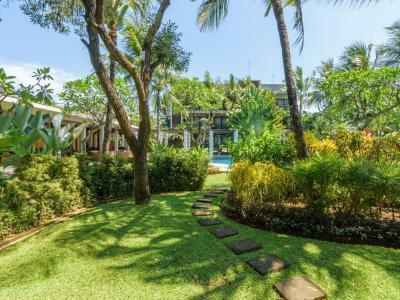 Great location - walking distance to some of Bali’s best restaurants. We booked breakfast but were extremely disappointed the fruit wasn’t fresh the coffee was cold, eggs were horrible toast was stale. We spoke to reception and they refunded so we could go out and eat. It’s a shame if the breakfast had of been better their would of been nothing to fault.